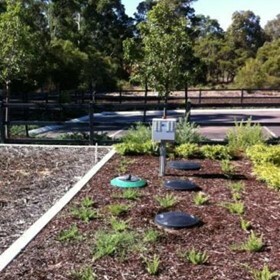 Aquarius Wastewater Management is a privately owned Australian Company based in Perth, Western Australia. We manufacture a comprehensive range of wastewater diversion systems, wastewater treatment systems, and ancillary products for both, domestic and commercial applications. As the world turns its attention to 'green' technology and environmental issues the reuse of water becomes a major focus. We provide affordable, quality products that assist in the safe recycling of waste water and benefit Australia's unique environment and diminishing water resources. Aquarius Wastewater Management's treatment technology is in the fore front of the water recycling industry. We invest heavily in research & development and work closely with specialists in the areas of aquatic microbiology and system design to constantly improve our product quality. 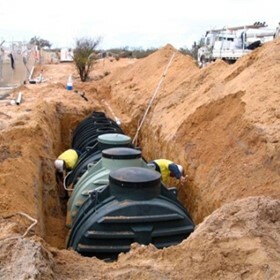 Aquarius Wastewater Management are manufacturers of the Aquarius range of wastewater treatment products; and provides a network of Approved Installers and Service Agents covering Western Australia. All are licensed plumbing companies that have completed our training courses, and we have registered with the WA Department of Health. Your local Installer and Service Agent can provide a total solution to supply, install, commission and service the Aquarius ATU. Throughout the remainder of Australia, and overseas, we have associated companies offering the same service.